Then I wondered, what can I do to take the detoxing power of the ginger lemonade to the next level. Suddenly, my mind was taken back to the time I first tried blk water. Although the water was completely black, it actually was virtually tasteless and odorless like any other bottle of water. 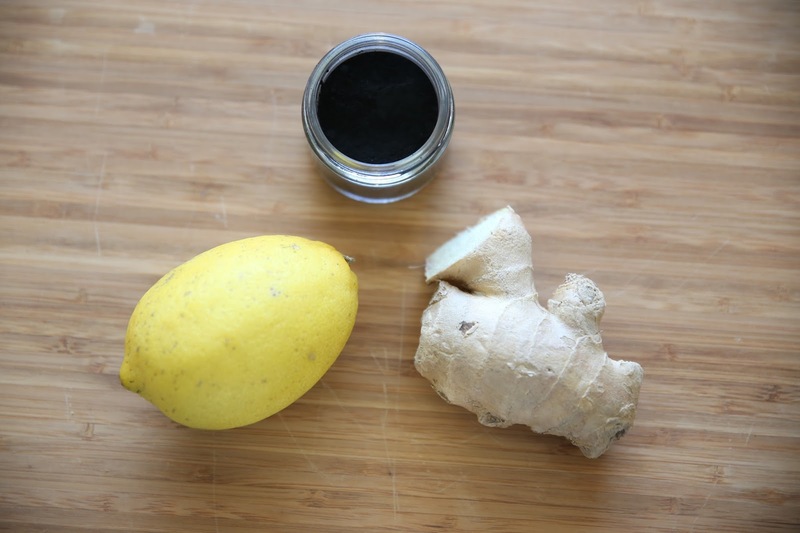 I also remembered about the detoxing qualities of activated charcoal. We've discussed, in previous posts, the adsorption power is contained within the smallest particles of activated charcoal. Adsorption is different from absorption. Adsorption means that it binds toxins to itself thereby making it extremely effective at cleansing and detox. 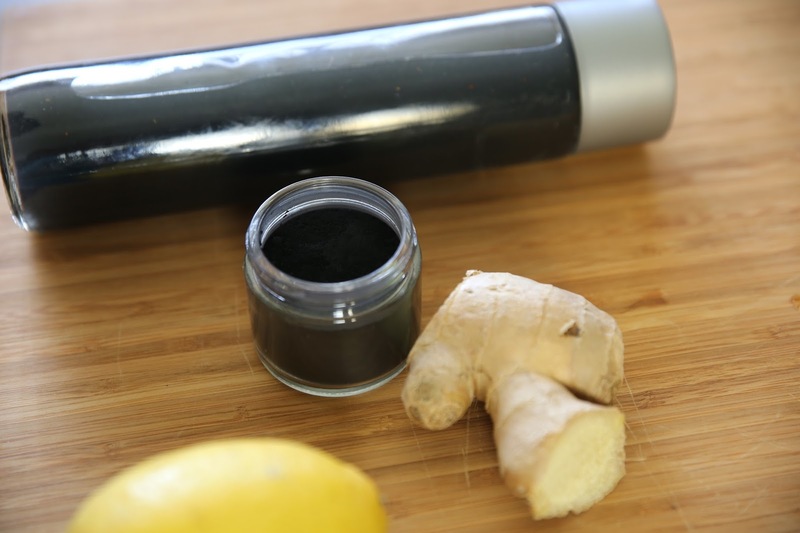 When you consume activated charcoal, your body doesn't actually digest it. Instead, the charcoal travels through the digestive track, picking up toxins along the way. The thing to take note is that charcoal doesn't discriminate, so it may interfere with absorption of prescription medication which charcoal might identify as a "poison." Hospitals use activated charcoal on patients admitted for chemical poisoning and drug overdose. 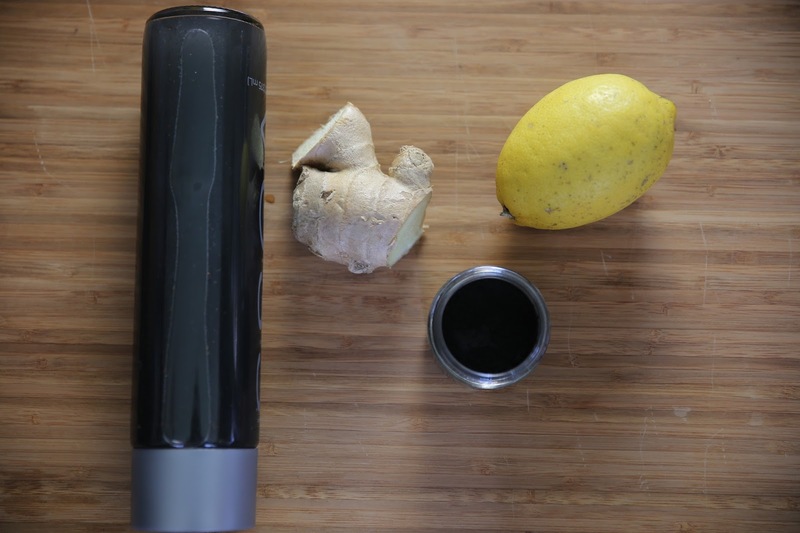 Although the this ginger lemon tonic is pretty easy to drink, I'll probably include the charcoal 1-2 times a week as a special treat (on an empty stomach). As, as always, whenever conducting any type of detox, it's imperative to drink plenty of water to help move the toxins out of the body.